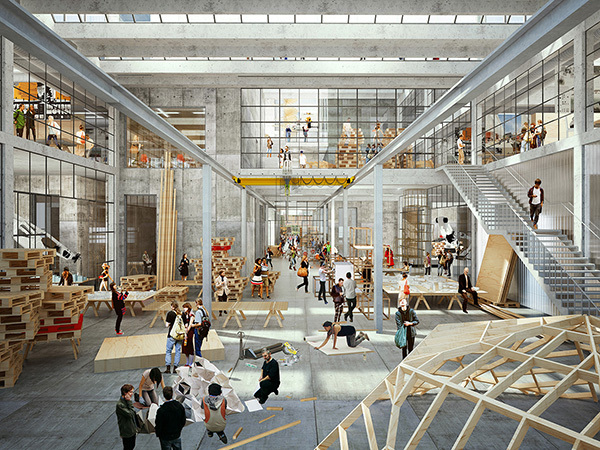 Vargo Nielsen Palle, the firm of Brian Vargo MDes ’15, led the winning design team for the new Aarhus Architecture School, Denmark’s first purpose-built architecture school. Together with ADEPT, Rolvung & Brøndsted Arkitekter, Tri-Consult and Steensen Varming, Vargo Nielsen Palle’s design prevailed in the two-stage competition. The project’s anticipated completion is 2020. Vargo is an American/Danish architect with a background in design and finance. Image by Vargo Nielsen Palle, Adept and Rolvung og Brøndsted. GeoAdaptive, a global think-tank and consulting company founded in 2007 by Juan Carlos Vargas MDes ’04, DDes ’08 (Founding Partner and Managing Principal of GeoAdaptive’s Boston Office), has launched its first office in Latin America. 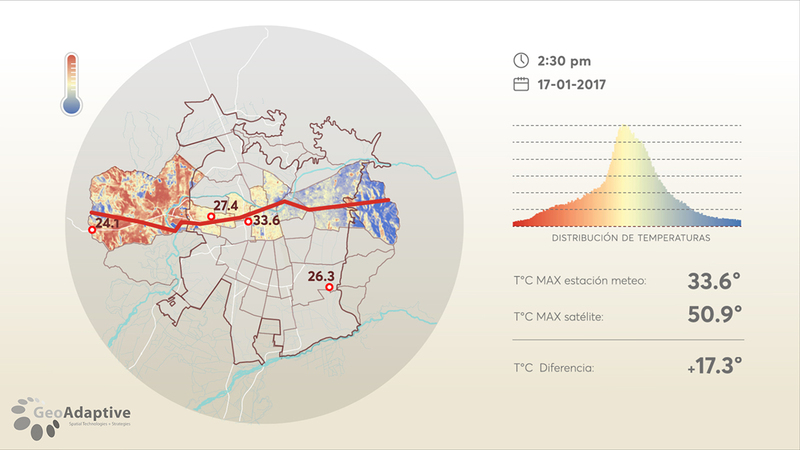 The branch, located in Santiago, Chile, is led by Flavio Sciaraffia MLA ’15 (Partner and Director of GeoAdaptive’s Chile Office), and offers intelligence services and strategy for development and sustainability. This is the third office for GeoAdaptive, which is also located in Boston, MA, and Turin, Italy. “Chile is a solid platform and, comparatively, the spearhead in Latin America for new paradigms of work strategies, professional services, and problem-solving methodologies,” Vargas said in a press release announcing the new office. “We decided to establish an office in Santiago, since Chile has a competitive advantage in the region in terms of advanced human capital, which facilitates innovation, a process that is central to our work. In addition, we detected that for both the public and private sectors, the objectives of equality, inclusion, sustainability, and adaptability are integral to economic growth and this unequivocally requires new ways of working that can incorporate multiple levels of information,” Sciaraffia added. Portfolio work from ten recent GSD alumni–Devin Dobrowolski MLA ’16, See Jia Ho MArch ’15, Ahmed Hosny MDes ’15, Jia Joy Hu MLA ’17, Chase Jordan MArch ’17, Flavio Sciaraffia Marquez MLA ’15, Saurabh Mhatre MDes ’15, Fani Christina Papadopoulou MArch ’16, Alberto Embriz de Salvatierra MLA’17, and Michelle Shofet MLA ’16–has been published in the new book, Constructing the Persuasive Portfolio: The Only Primer You’ll Ever Need, by Margaret Fletcher MArch ’97. Their contributions were selected from over 10,000 pages of portfolios submitted by students for possible inclusion. Notably, Hu’s portfolio is included as a full case study and is featured in its entirety in the publication. 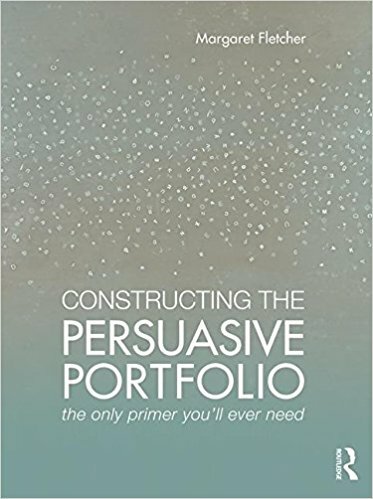 Constructing the Persuasive Portfolio is a step-by-step guide to learning the art of designing a compelling and effective architectural portfolio. It includes 400 portfolio examples from 55 designers representing 50 schools nationwide. Fletcher currently serves as Associate Professor of Architecture at Auburn University’s School of Architecture, Planning and Landscape Architecture. Sonja Cheng MArch ’15, Jennifer Ly MArch ’14, and Max Obata have been awarded first place in the 2017 Burnham Prize Competition: Under the Dome. 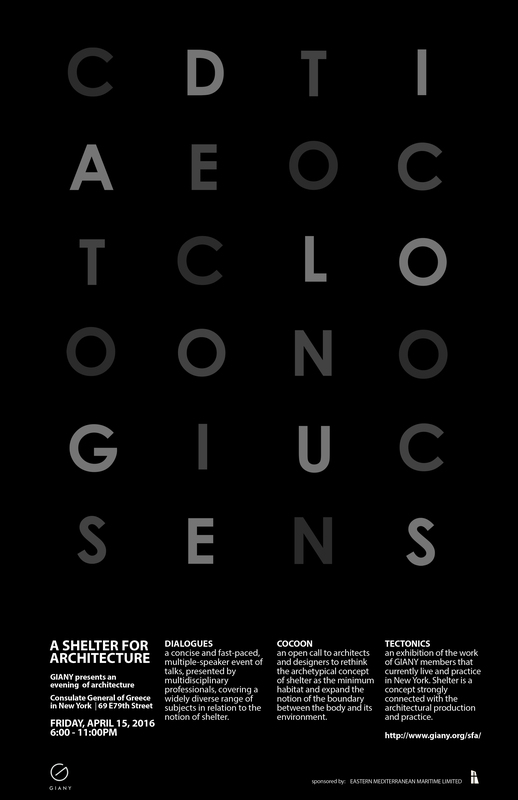 Sponsored by the Chicago Architectural Club, this year’s competition asked designers to reconsider the relevance of the dome in the context of the abandoned St. Stephen’s Church in Chicago. 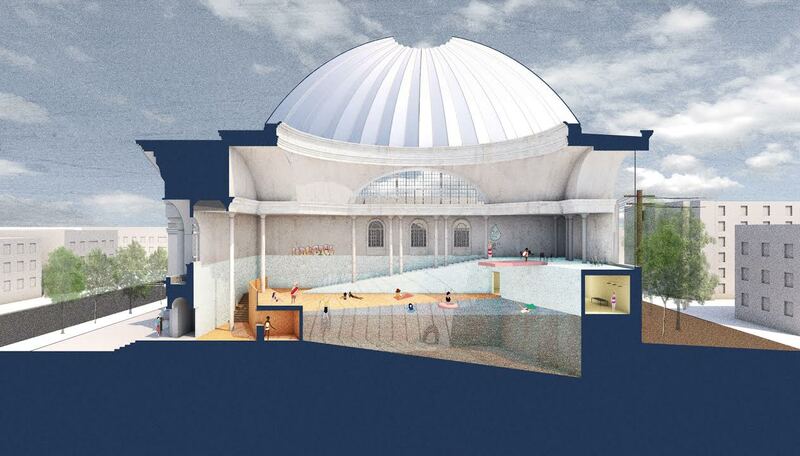 The winning proposal, “New Waters” reconstructs the ground plane and dome to create a new public pool within the existing church – providing a new environment for recreation, relaxation and spectacle. The pool has the ability to regenerate the neighborhood while creating an intimate and playful public space. The public swimming pool has had a contested history in America dating back to the 19th century. It first emerged as a place for personal hygiene and then evolved into a site of public tension through gender, economic, and racial divide. Today, Chicago manages 49 outdoor pools and 28 indoor pools. The new pool joins this existing, established network, but offer a new spatial environment that juxtaposes between the new and the old.The jury members consisted of Penelope Dean, Sarah Herda, Sharon Johnston MArch ’95, and Brian Lee MArch ’78. 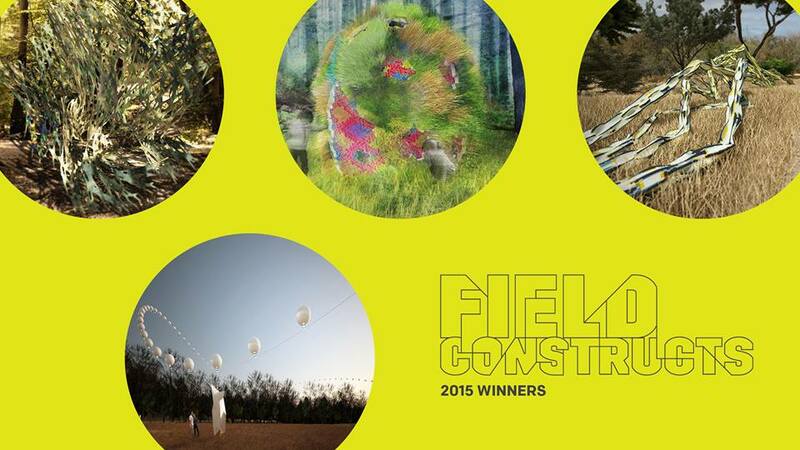 In conjunction with the 2017 Chicago Architectural Biennale, the winning proposal and other entries are exhibited at the Chicago Cultural Center through October 14th. More information here. 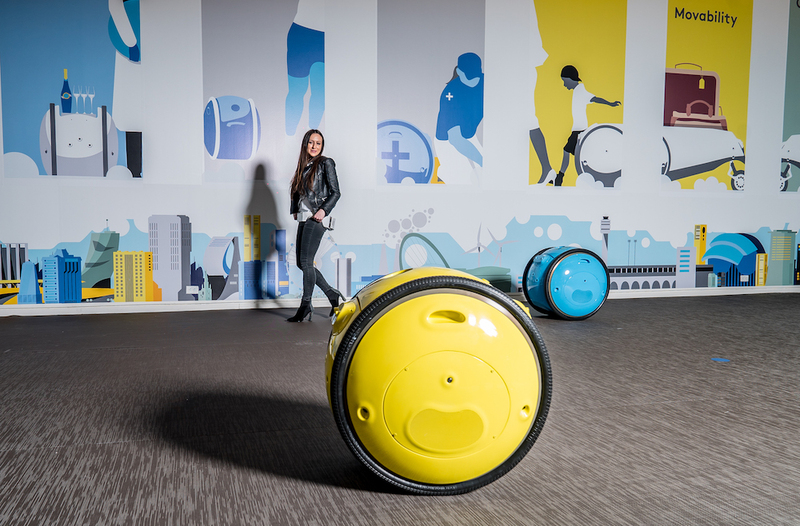 Rossitza Kotelova MArch ‘15 is a designer at Piaggio Fast Forward where she is the lead designer on exterior features of the robot Gita, interfacing between design, mechanical, and electrical engineering. Gita, the team’s first product, was recently featured on the Today Show, and in The Economist, Wired, the Boston Globe, as well as in other media outlets. 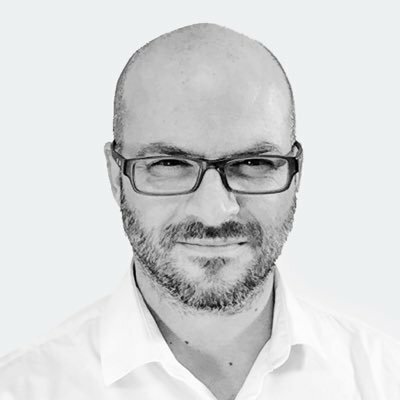 Kotelova was one of four team members first hired at Piaggio Fast Forward and has the unique experience of participating in the evolution of the company as well as the creation of Gita from concept sketch to fully functioning prototype. While at the GSD, Kotelova was selected to participate in the ETH Zurich exchange program, where she worked with pioneering robotic fabrication architects Gramazio & Kohler on complex timber structures. After returning to Harvard, she continued to investigate design through robotics, working with a team to develop the Robotic Roller which strives to eliminate the mold necessary in manufacturing variable surface ceramic tiles. She was an architectural design intern at SHoP Architects in NYC, SCB Architects in Chicago, and E2A Architekten in Zurich. Kotelova continues to apply her architectural training by leading the efforts on spatial projects taken on by Piaggio Fast Forward, including the company’s office space which was featured on BostInno’s Office Envy. 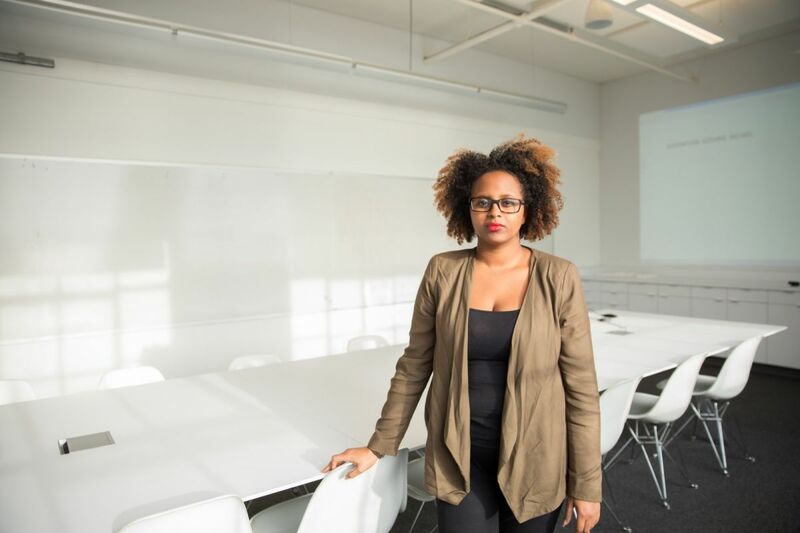 The work of Sara Zewde MLA ’15 at the GSD and in Rio de Janeiro has been featured on nextcity.org, in a piece titled “How a 29-Year-Old Designer is Reinventing the Urban Monument.” Sara began the work in Rio as an undergraduate, and continued during her time at the GSD, funded in part by her scholarship from the Olmsted Scholars Program. Read about Sara’s journey and her designs for Valongo Wharf and the African Heritage Celebration Historical and Archaeological Circuit. Jason Rebillot DDes ’15 has been named Associate Professor and Graduate Program Coordinator at the Woodbury University School of Architecture in Los Angeles.